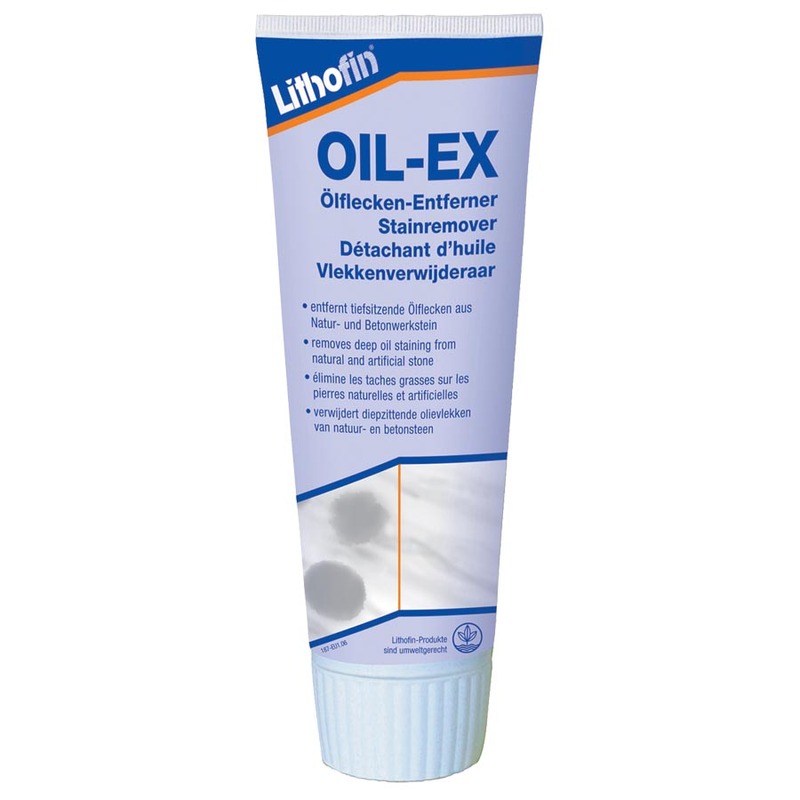 Lithofin OIL-EX is a ready-to-use, gel-like paste consisting of a mixture of solvents and highly absorbent solids. 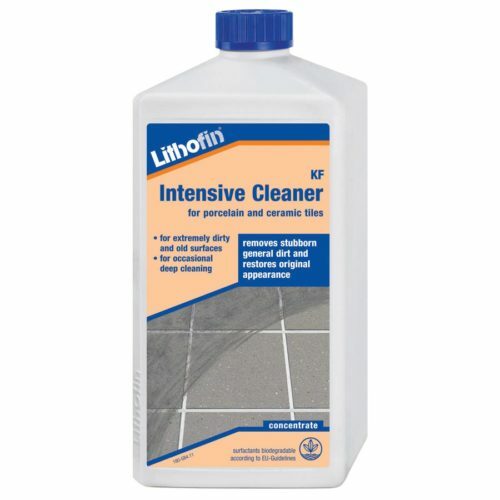 Lithofin OIL-EX dissolves and absorbs oil and oil based dirt. Its paste like consistency enables the active ingredients to work on the substrate for a long time, so that even deeply ingrained dirt can be successfully removed. Remove solids and surface soiling mechanically using a scraper or a brush. 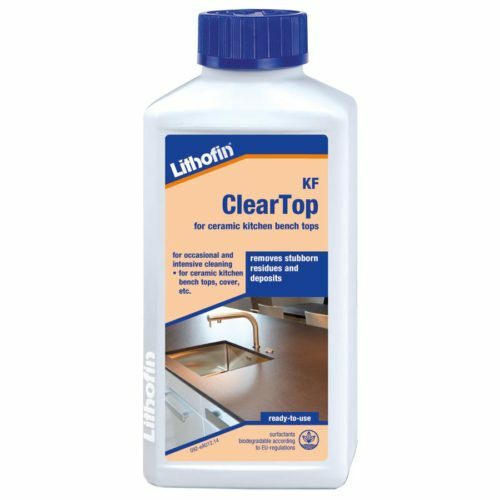 Apply Lithofin OIL-EX to the dry surface using a spatula, so that a coating thickness of at least 2mm is achieved. Allow to dry for approximately 12 hours. The remaining powder can be brushed off after complete drying. 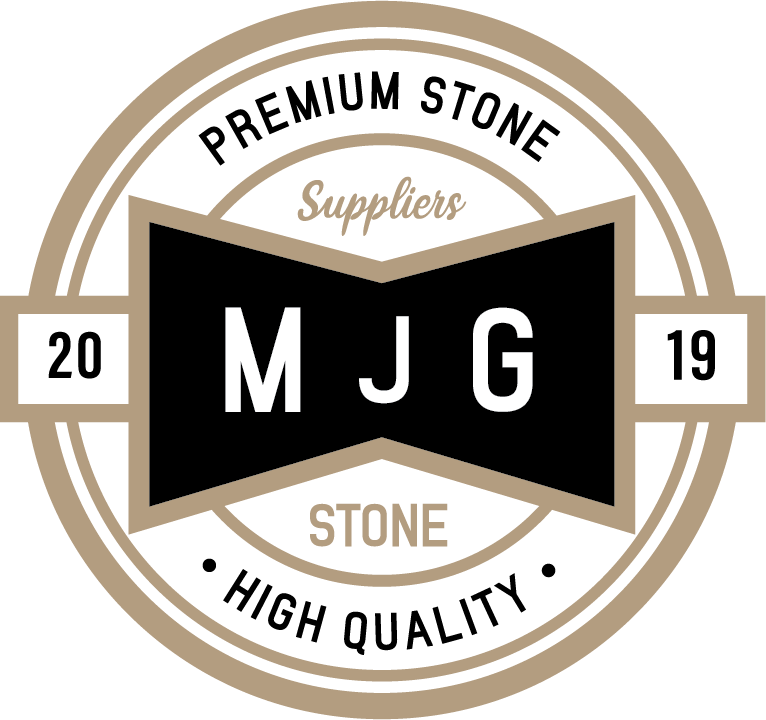 Please Note: some dark natural stone can show small amounts of the powder in the porous surface. If this happens please clean with Lithofin MN Power-Clean. Deeply ingrained dirt can be removed by 2 or 3 applications of the product. The active working time of the product can be prolonged by covering the area with plastic film. Do not apply under 10°C or over 25°C. Do not use on surfaces which are sensitive to solvents, lacquered, coated or synthetic surfaces. It is recommended to try the product on a small area in an inconspicuous place. 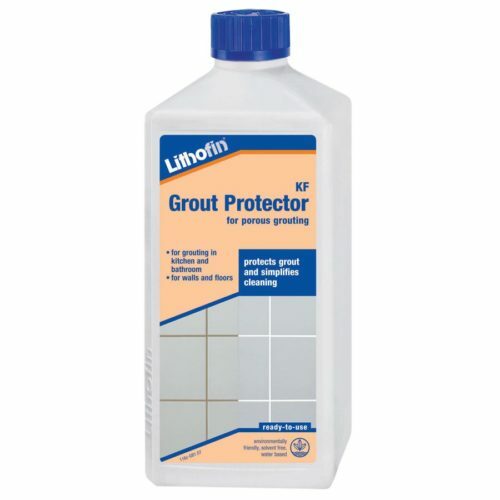 Advice: we recommend impregnating stain sensitive stone and concrete areas with Lithofin MN Stain-Stop. For regular maintenance use Lithofin MN Wash & Clean or Lithofin EASY-CARE. Store in cool and dry conditions. Keep tube closed. Shelf life of up to two years. Contains solvents, does not contain chlorinated hydrocarbons. Do not dispose of in drains. Disposal: The dried powder can be disposed of in an environmentally friendly way at the collection point for special waste. Waste description: oil and grease containing solids. Large quantities should be disposed of in a registered facility for special waste. Extremely flammable liquid and vapour. May cause drowsiness or dizziness. Toxic to aquatic life with long lasting effects. Repeated exposure may cause skin dryness or cracking. Contains limonene. May produce an allergic reaction. Keep out of the reach of children. Keep away from heat/sparks/open flames/hot surfaces. – No smoking. Use only outdoors or in a well-ventilated area. Use only outdoors or in a wellventilated area. Dispose of contents and container in accordance with national/local regulations. Please Note: This information should be considered to be informal and non-binding.